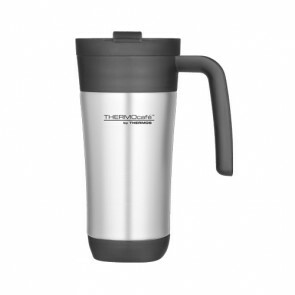 Discover our range of insulated mugs and tumblers to have hot drinks and cool drinks handy anytime while traveling, for a picnic, in the office or even by car especially during traffic jams! All travel mugs do not have the same efficiency and the same maneuverability but AZ boutique has rigorously selected for you only top-notch products! 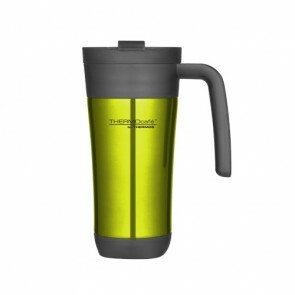 Anti-leak design, ultra-practical handle, easy opening, perfect insulation or long shelf life, insulated cups combine many advantages for use in the office, hiking or the gym. A quick tour of this cult and trendy object that has seduced coffee addicts, extreme sports fans and even fashionistas! 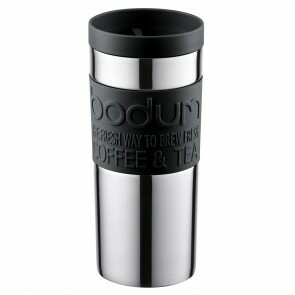 The travel mug: an ergonomic design that adapts to extreme conditions! 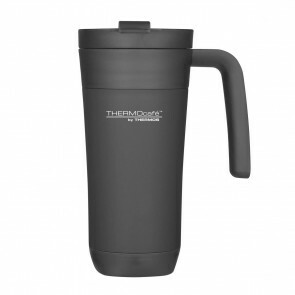 This criterion is essential when choosing a travel mug or insulated tumbler to avoid the famous warm coffee especially if you are regularly on the move! 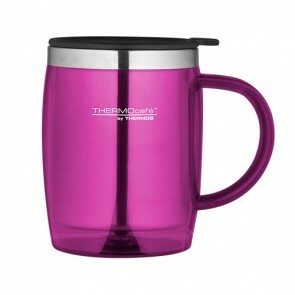 The heat insulating capacity of our products varies from one product to another and the best products like those of the Thermos King range can conserve the heat for approximately 16 hours, but most insulated containers can maintain the temperature of your teas, herbal teas, coffees and other drinks between 2 and 6 hours. The heat or cold conservation will depend on the insulation and the material. An insulated stainless-steel mug conserves heat better than a plastic container, for example. 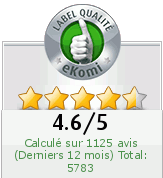 Also know that cold conservation is usually longer than thermal conservation. Sealing often depends on the closure of your container. Most insulated containers are usually 100% airtight so they can be carried in a backpack. 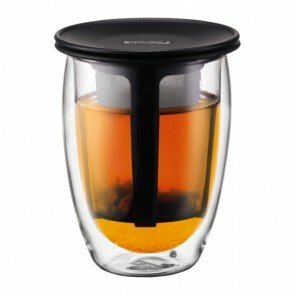 However some mugs and cups with a snap closure must be transported vertically to prevent leakage. 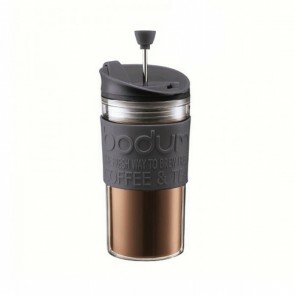 For a seal without losing a perfect drop choose the screw closure for these travel accessories. 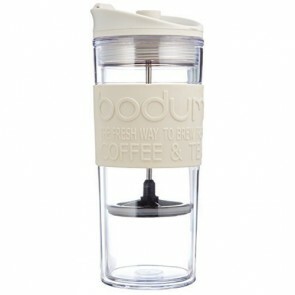 Large mug, small mug, thermos tumbler, French press travel mug, thermos mug, bodum mug, stainless steel travel mug: the best insulated mugs and insulated tumblers are on Az Boutique! 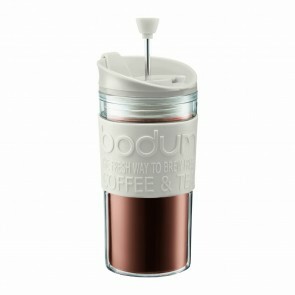 To carry everywhere your espresso, your cappuccino, your hot chocolate, your green tea or even your smoothie at the good temperature and in style, find our range of insulated travel mugs and insulated tumbler of prestigious brands like Bodum or Thermos on Az Boutique your bar, glassware and cooking store. 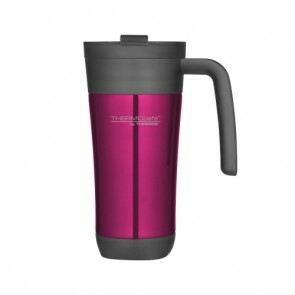 Unbreakable stainless-steel travel mug (brushed or glossy stainless steel finish) or stylish double walled plastic mug: our insulated containers are available in several colors (glossy black, matte black, gray, fuchsia etc.) and with the capacity you want. 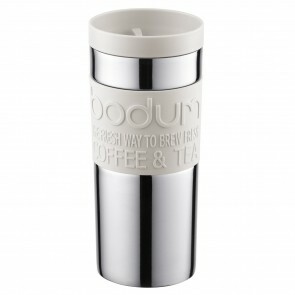 Another attraction of this very practical object: the insulated mug is also a great gift idea. Find also in our insulated range the insulated pitcher, insulated food box, insulated bottle including thermos bottle, insulated bags, insulated carafe and insulated flask.